Keloid scars are defined as abnormal scars that grow beyond the boundary of the original site of a skin injury. The scar is a raised and ill-defined growth of skin in the area of damaged skin. Who and What Is at Risk? It is not fully understood why or how keloid scars form. Skin trauma appears to be the most common cause, although scars can also form for no apparent reason. 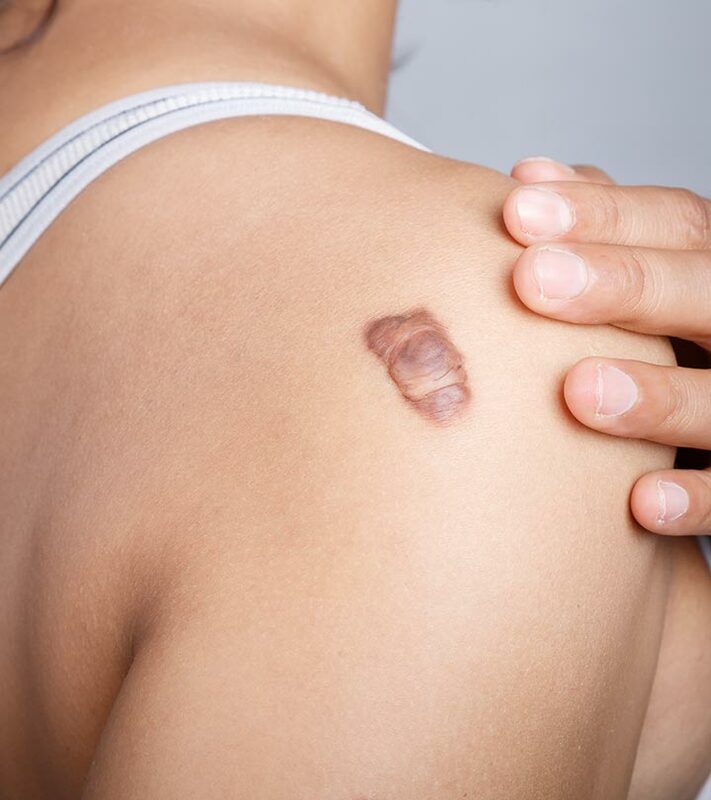 Skin or muscle tension seems to contribute to keloid formation, as is evidenced by the most common sites of their formation (the upper arm and back). But if that was the full story, you would expect that other sites, such as the palm of the hand or the soles of the feet, to be just as vulnerable; however, this is not the case. While the lack of a clearcut theory does demonstrate the lack of understanding of the condition, some work is being done to find the cause. Determining the exact cause will hopefully mean better preventative medicine and more effective treatments in the future, but there are many problems with adequate follow up of people with the condition, lack of a clear cut-off from treatment, and too few studies in general — all hampering the search for a cure. Three to seven days after the treatment, you may experience what seems to be regrown hair. The hair is actually just being shed as a result of your treatment and is not really regrowing. We advise you to not wax or pluck your hair, but it is permissible to shave the area.